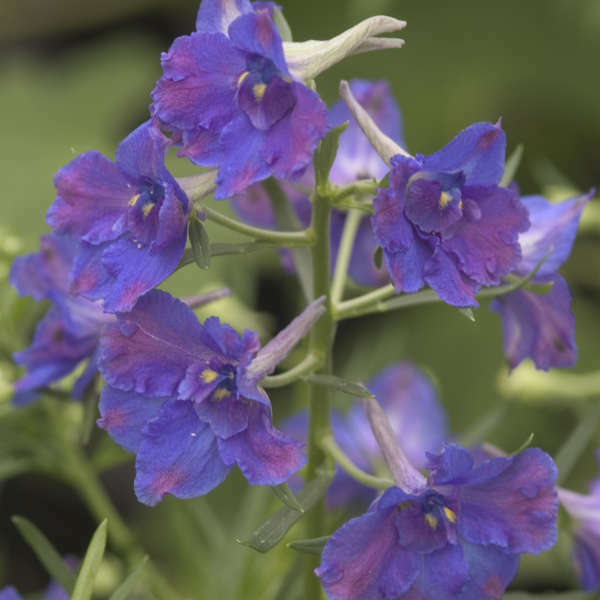 Totally unlike the tall, spiky Delphinium cultivars, this little beauty stands at a height of 14" and forms compact mounds of well-branched foliage. 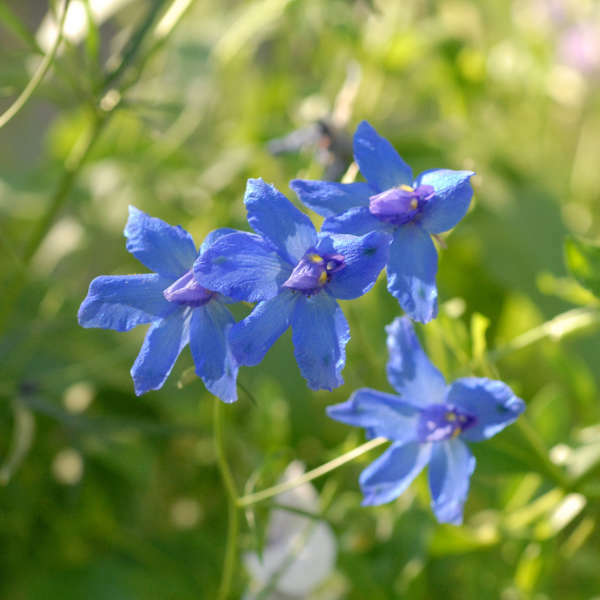 It puts on a spectacular show from early summer to fall, with 1.5", deep blue flowers which cover the lacy leaves. 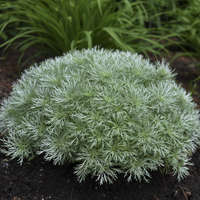 Though it is short-lived, it is worth using as edging, a bedding plant, or in containers combined with brightly colored annuals. Delphiniums can be grown in full sun or partial shade, though full sun may help to prevent powdery mildew. When planting, be sure to set the crown at or above soil level to avoid rot. 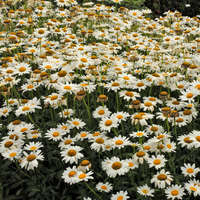 These perennials tend to be short-lived and often start to lose their vigor after 2-3 years. Expect to replant them every few years or propagate new plants from basal cuttings of the original specimens. 'Blue Butterfly' sometimes self-seeds, especially in cool-summer regions.